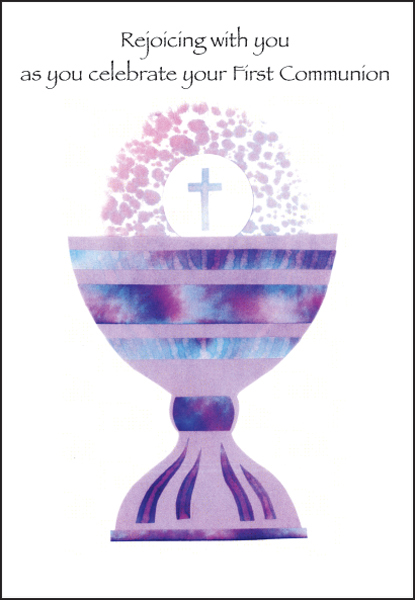 Buy 1st Communion Greeting Cards for Less | it takes two, inc.
First Communion is an important event. Celebrate with these special First Communion greeting cards from it takes two. 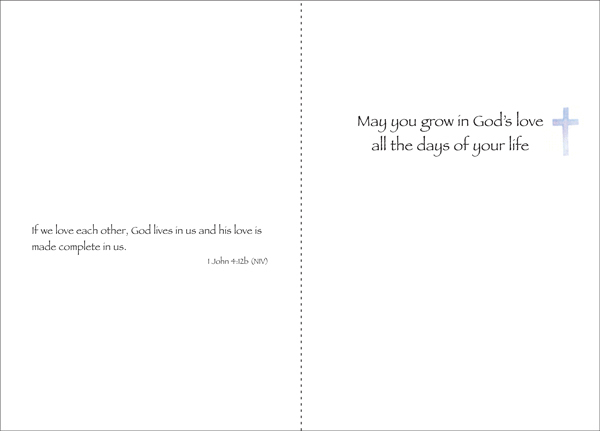 Featuring an encouraging message and a scripture verse from John, these cards are a beautiful way to celebrate this special day. Inside: May God bless you and keep you in the light of His love. Scripture passage: If we love each other, God lives in us and his love is made complete in us.